Oh No! Not Don Ayotte, Again? Well it seems as though the race in the 20th Representative District wasn’t interesting enough. 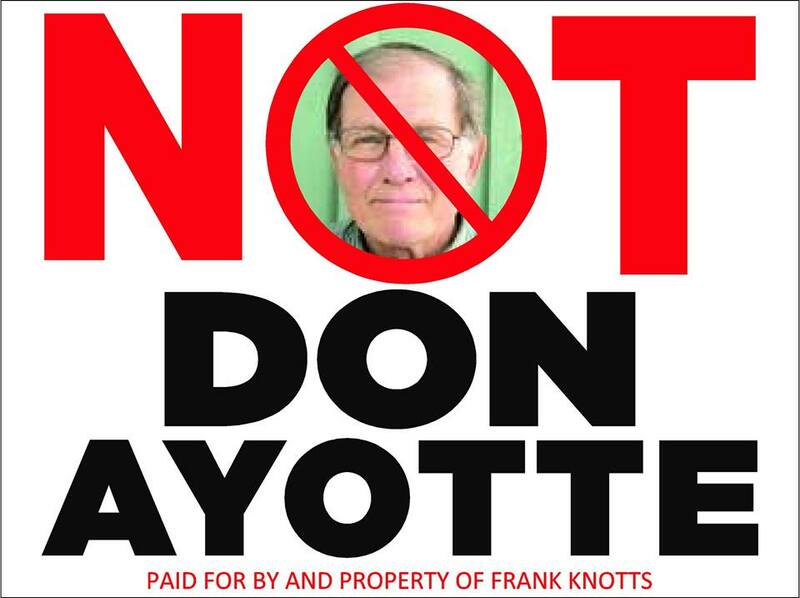 That’s right, as if having an eighty-six year old former Lewes Town council member running against the incumbent Republican former state Trooper, for the seat in the 20th, wasn’t interesting enough, now we have that ever-present campaign loser, Don Ayotte entering. And in the usual Ayotte style, he has backed into the race. Instead of simply filing for the race before the July 12th deadline on Tuesday, he announced on Tuesday morning, that he would be filing on Thursday as the Independent Party of Delaware candidate. He also announced that following his filing, he would hold a press conference. More on that in a bit. So why would he not simply file on Tuesday, since he had obviously made the decision prior to that? Well anyone who knows Mr. Ayotte knows his pathological need to seem important. In waiting till after the deadline, he gets to utilize his position as the grand-poo-pa of the IPOD to appoint candidates past the deadline. So you see, the IPOD is such a powerhouse of a party, that they couldn’t find anyone else to run on the ticket. And so, “by popular demand”, according to a press release, Don Ayotte stepped forward, only later to step in it. So not only does he get to be the candidate, he gets to be the person who appoints the candidate. Two yeas ago Ayotte also ran for the same seat, and received a whopping 217 votes, not that wasn’t a typo, 217 votes. This has inspired him to run once again, in the hopes of garnering even fewer votes. As for the press conference following his filing? Well according to someone who obviously had nothing better to do, Mr. Ayotte filed, walked out the door of the Department of elections, looked around, found no press, no adoring crowds, not even a kid eating ice cream, got in his pick-up truck and left. I am sure we will have plenty of opportunity to have some fun at the expense of Mr. Ayotte in the coming months. And as always, the answer to the question of who will win the race in the 20th is, “Not Don Ayotte”! 31 Comments on "Oh No! Not Don Ayotte, Again?" Heh. That’s all I have to say. You”re near the limit of your vocabulary.. I heard Mr. Ayotte on the radio this morning. He nailed Smyk on that gun legislation and good for him. It’s time for some good and competent representation in the 20th District and we’re not going to get it from Smyk. Mr. Ayotte asked Gaffney what Smyk had done in the last 4 years except draw 54K a year in pay. Gaffney couldn’t think of one positive thing Smyk had done. I think there was massive election fraud in the 20th District last election. Mr. Ayotte is right Frank, you are a hate blogger. You haven’t got a single ounce of common sense. HEH??? That’s about all a failed Delaware Right blogger can say. You, Cragg, Grossman and Knotts are all a bunch of pathetic LOSERS. “20 District voter” use of “Mr.” when referring to Don Ayotte confers a social status that he doesn’t extend to Steve Smyk, Dan Gaffney, or Frank Knotts. Hmmm. He has no chance but I think his goal is to interfere, not win; he knows he can’t win! Can Ayotte lick the Smyk shtick? Probably not. But maybe he can push great-grandmum past the finish line (or at least carry the oxygen tank). She can then focus on important issues at Leg Hall, like what color to paint the buttery or whether pink or blue hydrangeas go best with red brick. Well Rick, there was some concern the last time NDA ran and lost, that he might pull enough votes to give the win to the Democrat. But now we have the 217 bench mark, even if he exceeds expectations, he will only need to get 218. And by the way, I think we all know who 20th District Voter is. Don’t count out Ayotte. He’s tough and he’s determined. The GOP hates his guts because he’s not on the TAKE, cares about people, doesn’t scare easily and doesn’t take any crap .Unlike Smyk, he won’t carry water for Schwartzkopf. Frank, when I write something on your wretched site, I use my own name. What are you talking about Don? I didn’t mention any name? But do take note that you are welcome to read and comment on this wretched site, and will not be deleted as you do all my comments on DP. Barbara Vaughan can run circles around you critics-certainly mentally. She is sharp and she is quick. She is healthy. Her age means wisdom and she will not use a House seat as some pipe-dream steppingstone to higher office. Her years on the Lewes council and planning commission have helped build a vibrant, clean, attractive and well run town. She will be a productive member of the House majority, not a proponent of nutty legislation or inconsistent voting. Pointing fingers at her age when a two-term president Trump (perish the thought) would be near that age at the end. Konrad Adenauer was elected chancellor of West Germany at 90! I will take Vaughan against Smyk and Ayotte on any issue. And I hope Don gets a thousand votes–I would be happy to pick up three House seats in Sussex. This scrawny excuse for a blog post reveals the author’s stunning ignorance of Delaware election laws. Even a 30-second glance at the 2016 Delaware Election Calendar reveals that the filing deadlines for candidates in primary nominating parties is different than the selection deadline for convention nominating parties — not to mention the high level of personal hatred, age prejudice and misogyny. Very little of Delaware Right is credible or believable. Rick, if you think that age is an issue with Vaughn’s candidacy, then could I trouble you to provide some evidence to support your view? And if you think that Vaughn isn’t capable of thinking beyond what colors complement each other, then let’s hear from him about that too. Anxiously awaiting to read what you know about Vaughn that makes you so dismissive of her, Rick. I really did want to curb my sarcasm…. but I can not help myself. Since the IPOD is the fastest growing political party in the state of Delaware ( according to its director of special operations ) ( also see secret squirrel ). This should be a litmus test for the relevance of said party and individual. Just saying. Since the IPOD is the fastest growing political party in the state of Delaware ( according to its director….. This is a fact. In the past four years, their membership had doubled- from 8 to 16. Rick, if you think that age is an issue with Vaughn’s candidacy, then could I trouble you to provide some evidence to support your view? Well, when making her birthday cake, Food Lion ran out of candles. Is Barbara a charter member of the Lewes council? Perhaps. I think she said that she played with Ryves Holt’s children. Accuracy, are you saying that IPOD is a minor party? They have ballot access so they are held to the same rules as the GOP and Dems. The 12th was the deadline to register as a candidate, however each party can select a person to fill a slot. It is telling that the so called leadership of the POD people could find no one beyond themselves to place as a candidate. Ha ha. Good ones Rick. Got any clever zingers about Vaughn’s fellow octogenarian, Sam Wilson? Humor often is deployed when you want to dodge a question solely because you can’t properly answer it. 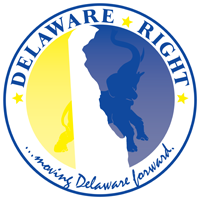 It is obvious that no one on the staff of Delaware Right has the proper level of legal, professional, research, analytical or basic writing talent to report accurately on matters of Delaware election law. Even a cursory reference to 15 Del. C. would indicate that there are two sets of candidate filings, but, apparently not so in the Bizzaro world of DR and Frank Knotts. As long as the lunatics continue to run the ASSylum, this sorry state of affairs will not improve anytime soon. Well Accuracy, help me out, please. Quote chapter and verse. Or else admit you consider IPOD a minor party. Frank’s intellectual laziness is outstanding. He really needs to do a little research before posting his trash. Accuracy, unless you quote the part of the code you say exist, then you are just saying I am wrong. Why not prove it. Quote chapter and verse. It’s obviously in the Delaware Election Calendar, previously cited. Accuracy, you said it was in state code, “Even a cursory reference to 15 Del. C.”. Now you say it is the calendar. Here is the calendar. vote before the Presidential Primary. Polls open from 7 a.m. to 8 p.m. Only registered voters from participating parties may vote. Within 10 business days of Minor Party Convention	Deadline for Minor Parties to deliver a copy of each nominating resolution, which shall be certified as true and correct by the party’s secretary, to the State Election Commissioner for each statewide office and to the respective county Election office for all other offices. vote before the Primary Election. September 1, 2016 at 12 Noon	DEADLINE for Major Party officials to file Certificates of Nomination for candidates for offices for which no member of their party has filed. September 1, 2016 at 4:30 p.m.	Filing deadline for sworn declaration of non-affiliation and nominating petitions for unaffiliated candidates. September 5, 2016 at 12 Midnight	Campaign Finance 8-Day Primary Report period ends for balloted candidates and all other committees. September 7, 2016 by 4:30 p.m. Deadline 8-Day Primary Report due. September 9, 2016	Last day the Department of Elections is required to mail absentee ballots for the Primary Election. September 10, 2016	Supplemental Poll Lists are available to principal political parties from the Department of Elections. September 12, 2016 at 12 Noon	The last time that the Department of Elections must issue an absentee ballot for the Primary Election. DEADLINE for uniformed services members and overseas citizens to register to vote before the General Election. General Election Polls open from 7:00 a.m. to 8:00 p.m.
General Election to the Department of Elections. December 31, 2016 at 12 Midnight	Campaign Finance Year-End Report; period ends for all 8030(b)(1) candidates and committees. Now I have made it easy for you, simply copy and paste the date and time that makes your case. The answer is staring you in the face. How DUMB do you get? If you can’t see it get GROSSman to look it up. It’s about time that he did something useful.